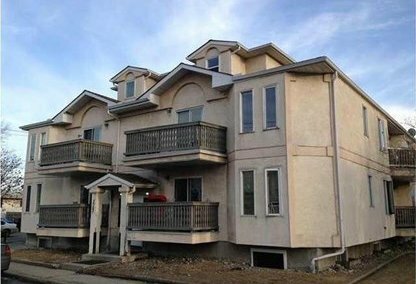 See the newest Forest Lawn homes for sale in Calgary! Located in Calgary City's east zone is the historic residential neighborhood of Forest Lawn. The district is situated nearby Western Irrigation District Canal, Bow River, Regional Park, and several major roadways. Discover just listed Forest Lawn homes & condos for sale now! Schedule a private condo or home tour with your Forest Lawn Calgary real estate agents today. Forest Lawn housing market statistics: As of April 25, 2019 there are currently 24 properties for sale in Forest Lawn listed as active, with an average asking price of $292,470. The highest-priced property is $699,900; the lowest priced property can be purchased for $110,000. Forest Lawn neighbourhood listings have an average price of $274 per square foot, based on listings with 3.5 bedrooms, 2.0 baths, and 1,117 square feet of living space. 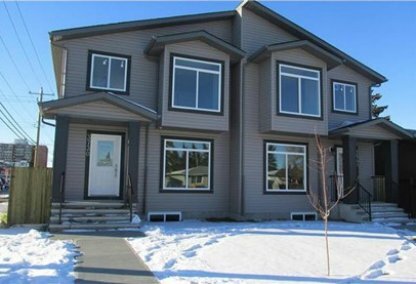 Want to purchase a home in Forest Lawn Calgary? Call your Forest Lawn real estate team, Justin Havre at RE/MAX First - 403.217.0003. Your neighbourhood Forest Lawn real estate agents and agents are here to help with the Forest Lawn housing market in Calgary. The neighborhood of Forest Lawn is known for its rich history, which dates back to the 1900s when it was occupied by homesteaders. During World War I, the district suffered under the Depression. In 1952, the districts of Forest Lawn, Albert Park, and Hubalta were combined to form the Forest Lawn township. In 1963, Forest Lawn was annexed by the City of Calgary. The community serves as residence to more than 7,000 individuals as of 2011 according to the Civic Census. Forest Lawn houses residents from diverse walks of life and many different backgrounds. Residential properties in Forest Lawn consist of apartments, condominiums, row houses, and single and semi-detached homes. The community's accessibility and several amenities make it an ideal neighbourhood for settlers who are looking for a residential subdivision that can provide comfortable, simple, and convenient suburban living. The busy commercial district of International Avenue is located in the area. This provides both residents and tourists a one-stop shopping area for all of their daily purchasing essentials. Several gatherings and events are also held in the business zone including the Stampede Breakfast, 35 Blocks Food Tour, GlobalFest, and drive-in movies. There are a wealth of attractions and amenities available within the community. The neighbourhood is served by public and Catholic schools such as Patrick Airlie Elementary, Ernest Morrow Junior High, Ian Bazalgette Junior High, Jack James Senior High, Holy Redeemer & Father Lacombe, and Holy Trinity Elementary Schools. Planning to buy or sell a home in Forest Lawn Calgary? Let our real estate team guide you in your search for the perfect home and professionally facilitate the sale of your existing home. As Forest Lawn neighbourhood real estate agents, we know how to navigate the Forest Lawn real estate market. Let's get your home sold quickly and at the highest price! Contact Justin Havre at RE/MAX First - 403.217.0003 to find out more about buyer or seller representation. Thinking of selling your Forest Lawn home? Check out our free property evaluation tool, where you can easily view Calgary Homes Values online in moments!